Mr. Shi Xin (Deputy Principle of SMU, Head of 21st century silk road research institute, Doctor, Professor, Doctoral Supervisor). 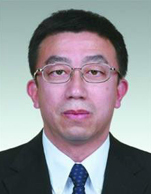 As the deputy principle of SMU, head of 21st century Silk Road Research Institute, council member of Chinese Navigation Society and deputy director of Water Transport Management Committee, Mr. Shi Xin has been doing transportation management research for many years. He has been leading many issues covering the topics including shipping center building, competition and cooperation of modern ports, international shipping development, transportation policy, port-shipping development and so on. He also published serious of reputable papers and he is awarded achievements rewards for scientific progress and decision making consulting.